I seem to have developed an addiction to nail polish! 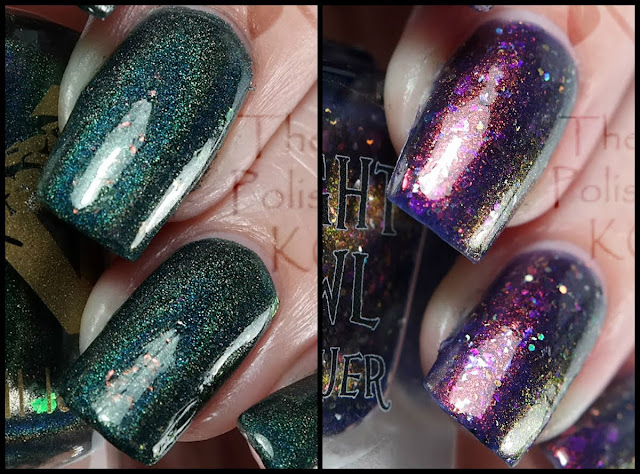 I'm constantly talking about polish and browsing swatches and reviews. 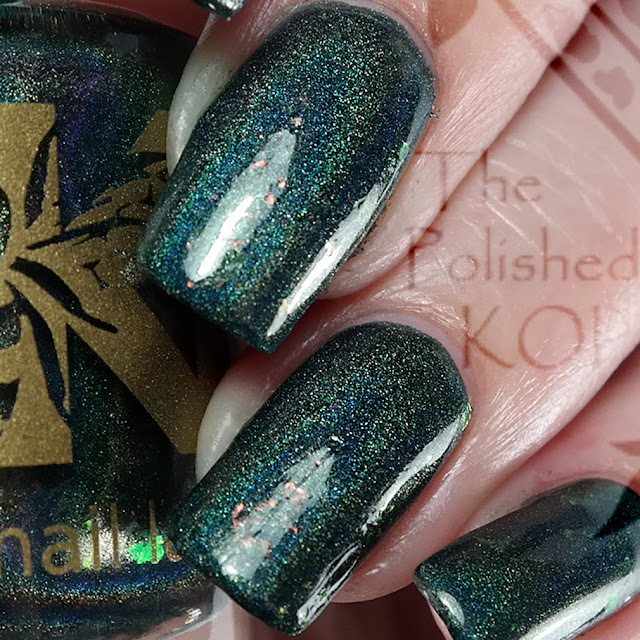 So I decided to get a blog for posting my own attempts at nail art and designs, and to give my hubby a break from having to listen to me blab all the time :) Of course, nail polish isn't ALL I'm interested in, so I think other topics and posts will creep up in here as well! It's just about time to get ready for shopping February's PPU and I've got 2 polishes to show! This time it's done a bit differently, in that there isn't a set theme, but a general umbrella of "Duos & Pairs". The makers also paired up, and picked one of the famous duos/pairs for their polish inspirations. What did our lovely ladies pick? Harry Potter! I'll start off with Bee's Knees Lacquer. Just 2 coats and look at all the goodness and colors packed in the polish! This one won't leave you wanting anything extra cuz it's all in there! Love Is Powerful Magic is stunning. I just never wear purple so I skipped it, regrets.